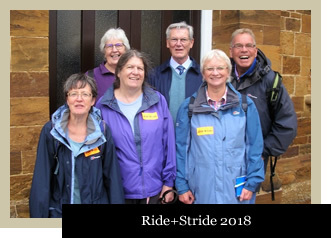 St Matthew’s again took part in the nationwide annual sponsored Ride+Stride to raise money for the Historic Churches Trust. Half the money we raised here goes to the Trust, half to St Matthew’s. Our church received the very substantial amount of £10,000 from the Trust a few years ago for our major building works, so it’s a good cause to support. Crossing the Kettering Road, normally next on our list is Mount Pleasant Baptist Church, but unfortunately not open this year; looking on the bright side, it meant we got to our next church that bit quicker – Queensgrove Methodist Church, where we have our usual coffee and cake stop, courtesy of Roger, who likes to treat us. Bless ‘im! We’d started to see other walkers coming in the opposite direction, easily identified by their day-glo badges, but walking on their own, not in a group like us. That’s commitment for you. We acknowledged them with a bright smile and a wave. Fed and watered, on we walked across the Mounts to Holy Sepulchre, one of only four round churches remaining in the UK, founded around 1100 AD. 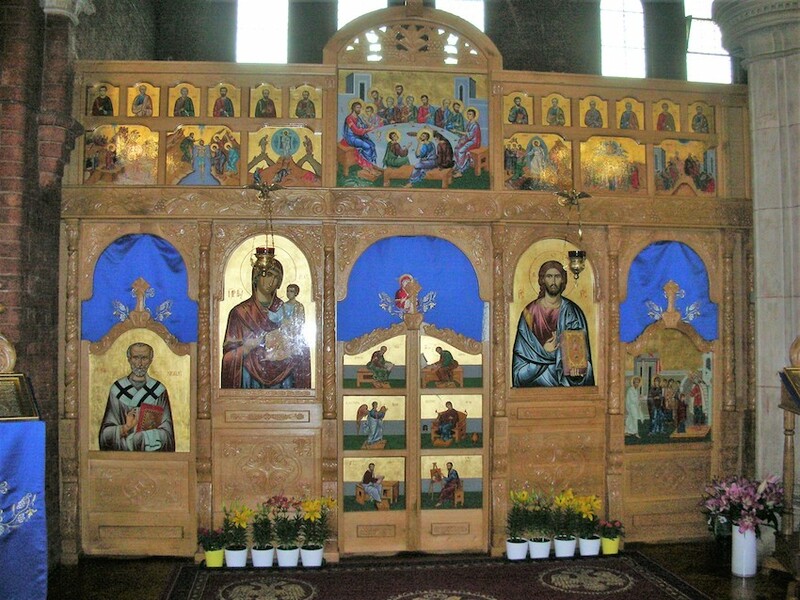 Doing this walk does give you a chance to pop into churches you might not normally have cause to go into, thus giving you a taster and inspiring you to go back another day to explore more at your leisure. Now for the bit of the route where we always go off into the unknown… we’ve never managed to find our way the same way twice, and this year was no exception. Anyway, it was there, lurking round a corner – Castle Hill URC, who presented walkers with an added treat this year… Normally they have music discreetly playing as a background, but apparently nobody this year knew how to turn it on, so at the last minute they drafted in a live singer instead! She was one of their Praise group, singing along with a music background tape. At St Peter’s in Marefair we met Joe again – he’d been there last year wearing a badge declaring him to be JOE, and we’d remembered his name from that. 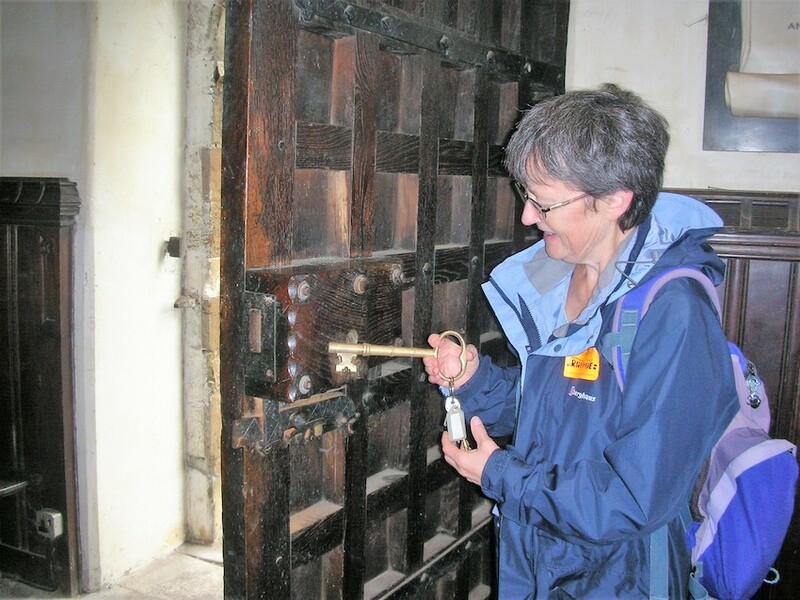 Joe was there on behalf of the Friends of Northampton Castle, whose Heritage Project Trail takes in St Peter’s, and Elaine was amazed by the size of the key that opened the south door, so he let her open it – what a massive lock! That made her day. As we left, the sun was shining at last. Next stop was All Saints’ with, as usual, the row of Classic buses that give free rides around the Heritage Weekend sites waiting in George Row. And then on to St Giles’ where we stopped for a welcome lunch break and a chance to sit down for a bit. Roger left us at this point and the rest of us walked on to Victoria Road Congregational Church. 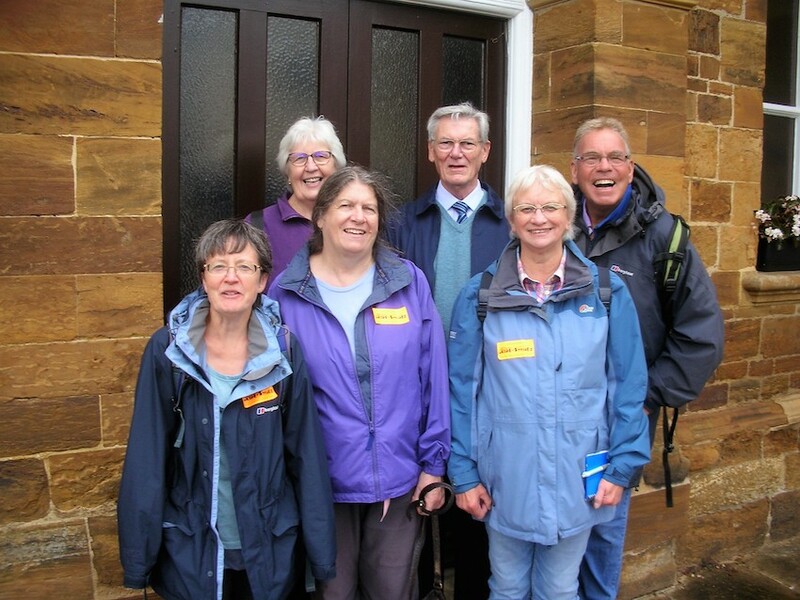 They told us that they share their church too, with the Kenyan and Syrian Church, and by chance another walker doing the Ride+Stride from Kingsthorpe Baptist Church, there at the same time, told us that his church shares with a Chinese Church. Because they have the service in English, Cantonese and Mandarin it can take three hours! Perhaps there’s more sharing of churches than we’re aware of? Our longest section of just walking now, along Billing Road and up to Christchurch, where we met Esmé Godden, who did an abseil down Peterborough Cathedral a couple of years ago at the age of 83. Ooops, sorry Esmé, just gave your age away. Esmé was there on duty signing us in. They had musical entertainment there too, in the shape of Andrew Barford playing the organ. At the church in the park, St Peter and Paul, Abington, Ray left us, and we mysteriously lost Pamela… But she appeared again at the Wellingborough Road traffic lights with no clear explanation of where she’d been. This last leg is when you start to feel weary, and it’s always good to get back to St Matthew’s and have a sit down. We arrived back at 2.40pm. Christine and Barbara said they’d had a good number of Riders+Striders, considering the weather had started grey and unpromising. The church is open on Saturday afternoons anyway, and this had also been the Heritage Weekend which had also attracted the visitors. So how much did we raise? £410 at the last count, so that’s £205 to St Matthew’s, £205 to the Historic Churches Trust. Many thanks to all of you who sponsored us! This also includes money from Olive who also did a shorter walk on her own, getting family and friends and neighbours to sponsor her. Thank you Olive! Ride+Stride is always on the second Saturday in September; maybe you’ll join us next year?